Amber was the first style of cider produced under the Woodchuck label. It is made from a blend of apples and fermented with champagne yeast to produce a great tasting and refreshing product. Woodchuck Amber has a golden color, a medium light body, mild bitterness and a medium sweetness that is reminiscent of apple cider. This cider is crisp and pleasant in character with a concentrated apple finish. Granny Smith is a tart green apple cider. Crafted with Granny Smith apples, tree-ripened in the Yakima Valley of Washington. This varietal cider is pale in color with a tart and crisp taste that finishes dry and tangy. For years, Woodchuck has been telling us that great taste grows on trees--apple trees. But just across the orchard they discovered another kind of great taste; went out on a limb and created Woodchuck Pear Cider. 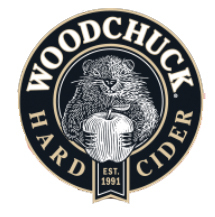 A crisply refreshing drink with the tantalizing essence of pear, Woodchuck invites cider drinkers to let their taste buds branch out. Crisp and refreshing, Semi-Dry uses bittersweet apples to deliver a cider that is not too sweet and leaves you thirsty for another. Inspired by sparkling wines, this dry pear cider is full of bubbles with a clean, crisp finish. For information about seasonals, please ask your Sales Representative.